GROWER-BASED conservation farming association, Conservation Farmers Inc (CFI), is to be wound up. The organisation, which has driven the adoption of no-till farming practices for more than three decades in the northern farming regions of Queensland and northern New South Wales, has been put into voluntary liquidation following a claim by a former director for substantial expenses that is now in the hands of the courts. CFI chair, Darryl Bartelen, said the magnitude of the claim was untenable for a not-for-profit company. Mr Bartelen said the CFI was unable to confront the financial enormity of the legal proceedings, leaving the Board with no other choice than to seek the closure of the association. “It is sad that we have come to this point, but being a not-for-profit organisation it is very difficult to have a strong financial business plan in place long term,” he said. The association was established in 1976 and was incorporated as Conservation Farmers in 1985. It played an integral part in the broad scale adoption of minimum and zero till farming and the corresponding shift away from conventional farming practices in the northern region. Conservation Farmers Inc has played a significant role for 30 plus years as a farmer oriented NGO promoting conservation farming in NE Australia. It was initially part funded by Landcare. 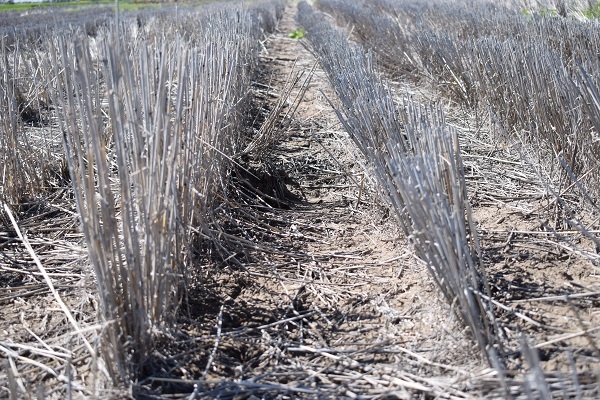 In the last generation there has been a radical change in farming systems Australia wide with tillage disappearing as a primary method of land preparation and planting. Increasingly complex environmentally friendly systems using residue, rotations and other techniques have evolved. However research and advisory support has been declining. Governments (both State and Federal) are cutting back. Agribusiness broadly has been very supportive. GRDC and similar bodies play a vital role. Nevertheless, in my opinion there will always be a need for farmer positioned mutual support groups of a semi-formal nature to assist fellow farmers with the onward changes in Agriculture.